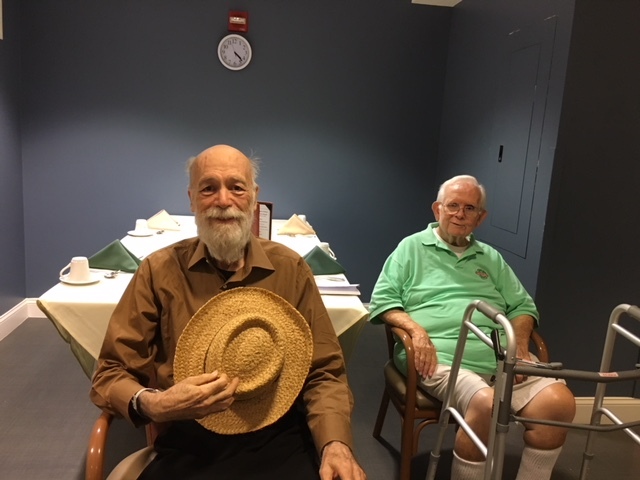 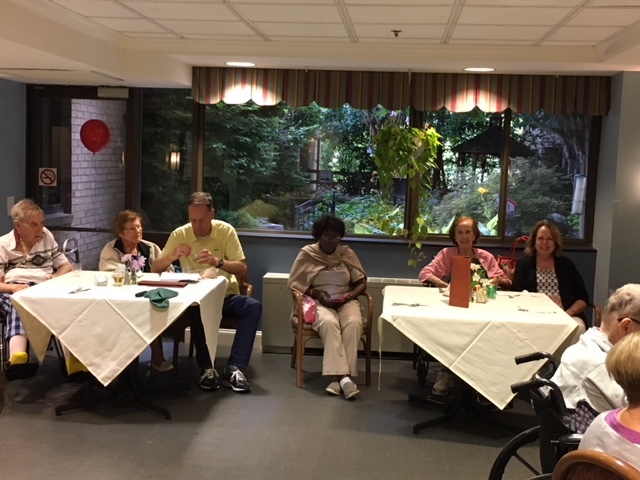 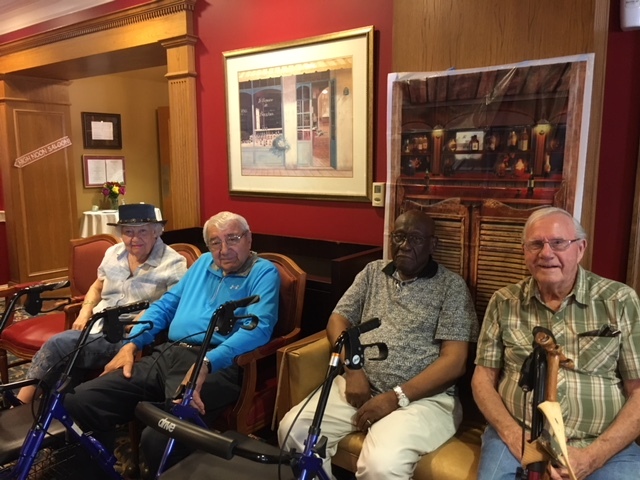 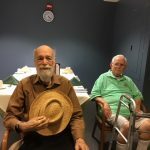 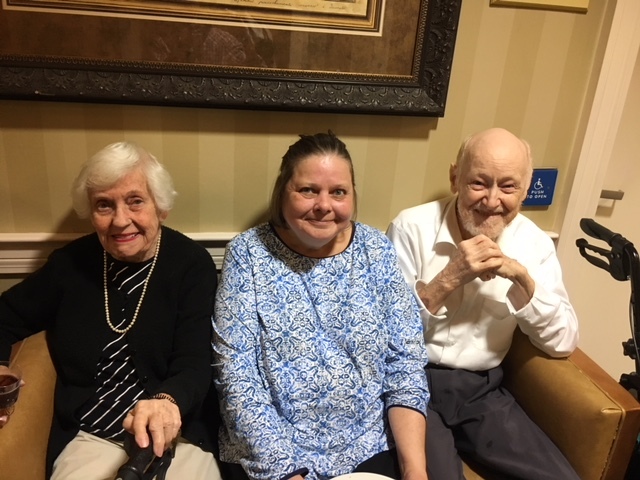 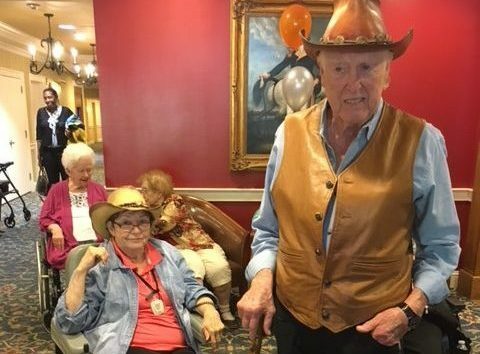 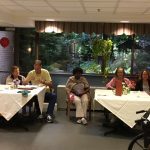 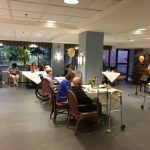 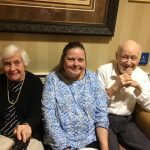 Nashville Standard singer and songwriter, Adam Melia, performed for the residents in the community during their annual country and western themed event. 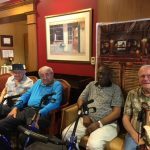 Adam, a solo acoustic guitar, harmonica and vocalist exploring the roots of country music played a healthy dose of Country & Western/Rockabilly songs from such artists as Hank Williams, Johnny CAsh, Buck Owen, Carl Perkins and many more. 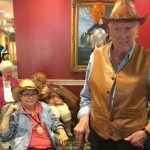 A few residents came down wearing jeans, plaid shirts and cowboy hats, which was a big hit! 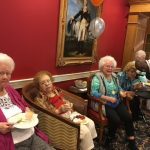 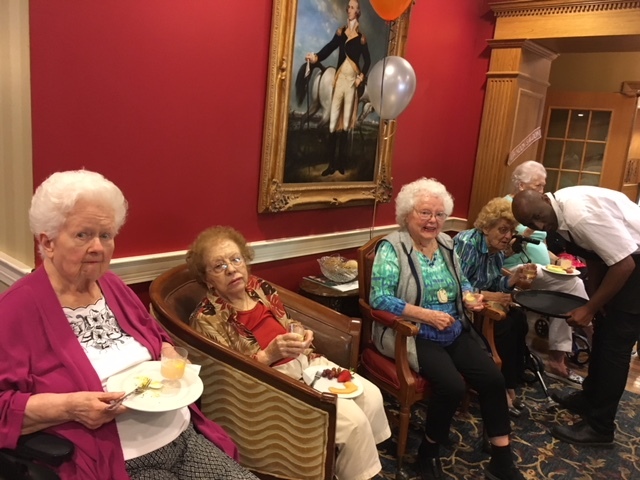 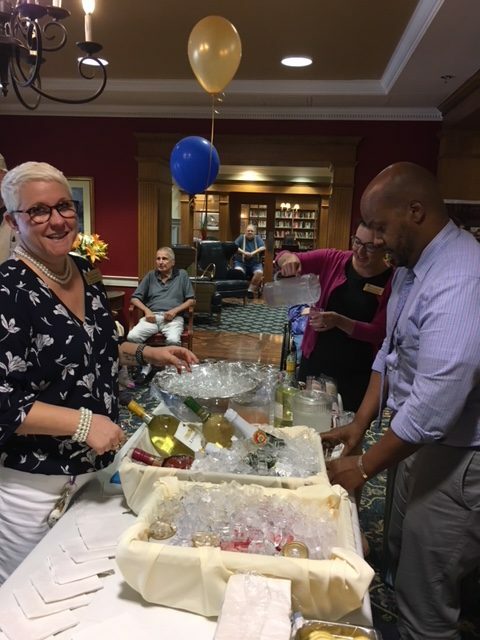 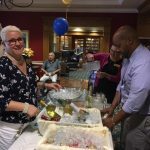 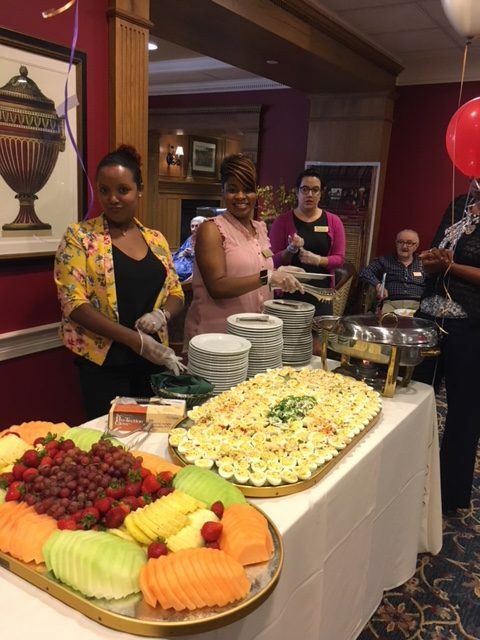 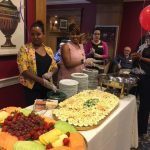 Everyone enjoyed the celebration filled with great music, specialty cocktails, delicious southern cuisine including appetizers and a dinner menu prepared by The Fountains at Washington House dining services. 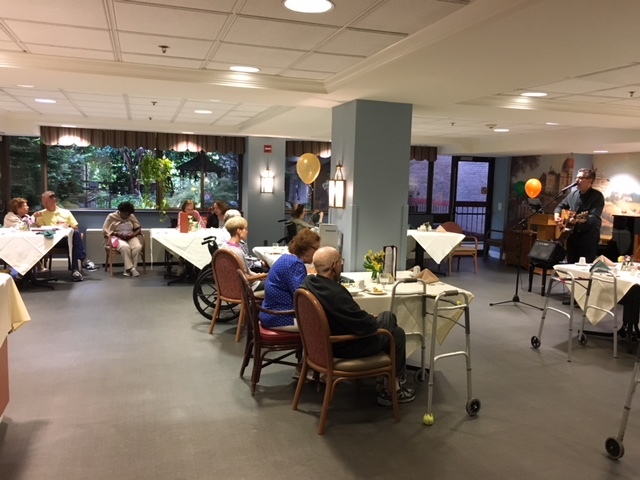 Adam Melia singing country music.